Now that Mercedes said its "Good Bye" to the current SLS AMG with the Final Edition revealed at the 2013 Los Angeles Auto Show, the company is now focusing on the development of its successor. 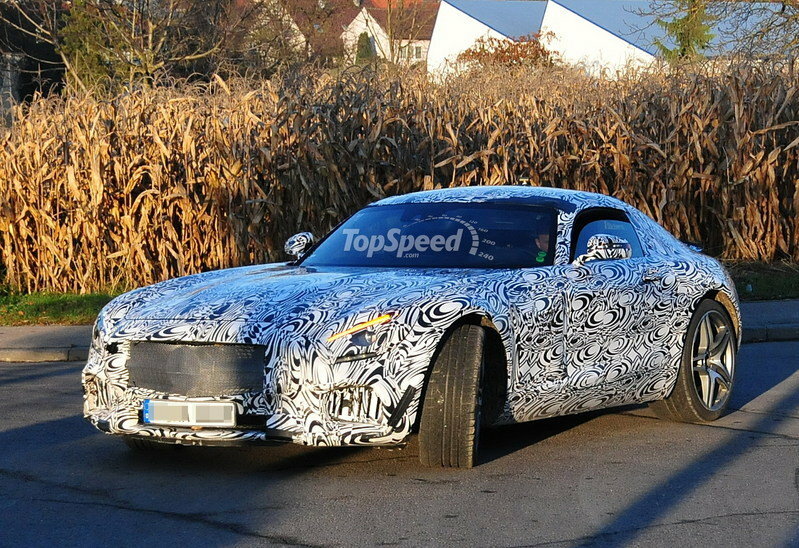 The next AMG GT, also known as the SLC, but internally known as the C190 was caught testing today by our spy photographers, and, as you can see it started to loose that nasty camouflage. Offered as a direct competitor to the Porsche 911, the upcoming AMG GT will be offered with at least three engine options, with the base model delivering somewhere between 400 and 500 horsepower and the Black Series version up to 600 horsepower. The new Mercedes AMG GT is expected to be unveiled at the 2014 German Grand Prix next July. 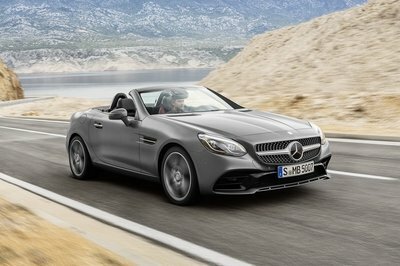 Mercedes said the model will only be offered in a coupe version, but a roadster version could also be offered if the model will prove itself successful. 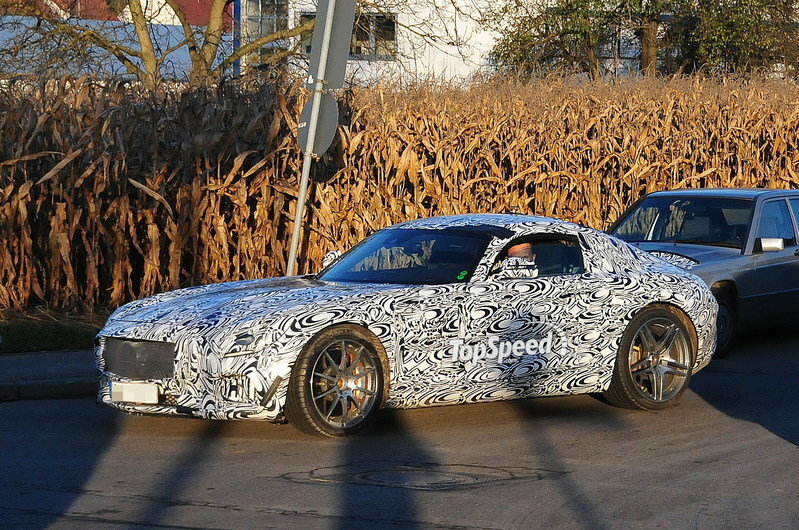 Despite the heavy camouflage the upcoming AMG GT is still wearing, it gets pretty clear to see that it will feature some elements identical to the SLS AMG, like the long hood and short rear deck. The model will be built on a new aluminum spaceframe that will help it be significantly lighter than the SLS. However, unlike the SLS, the AMG GT will drop the gullwing doors and will adopt new, regular ones. Everything else will be pretty much new, including the front end, the new pair of headlights and taillights.